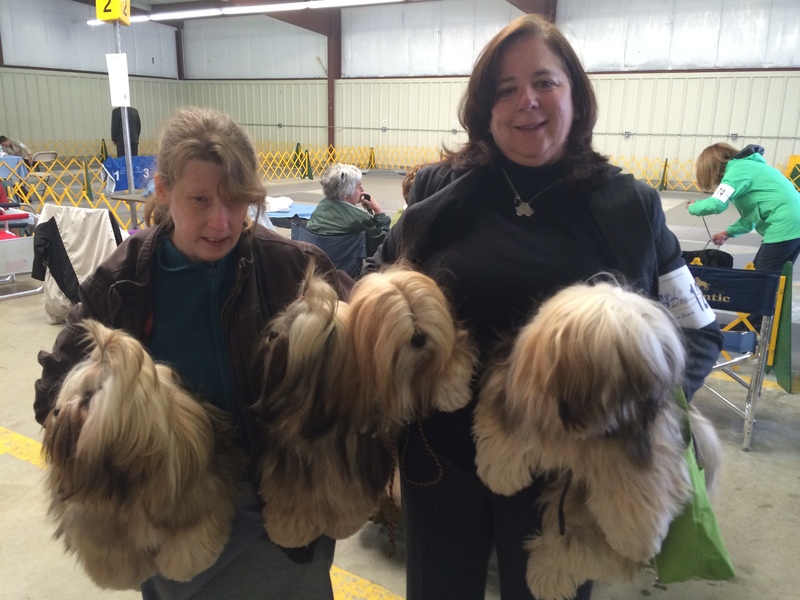 How about these women, with their arms full o’ shih tzus? 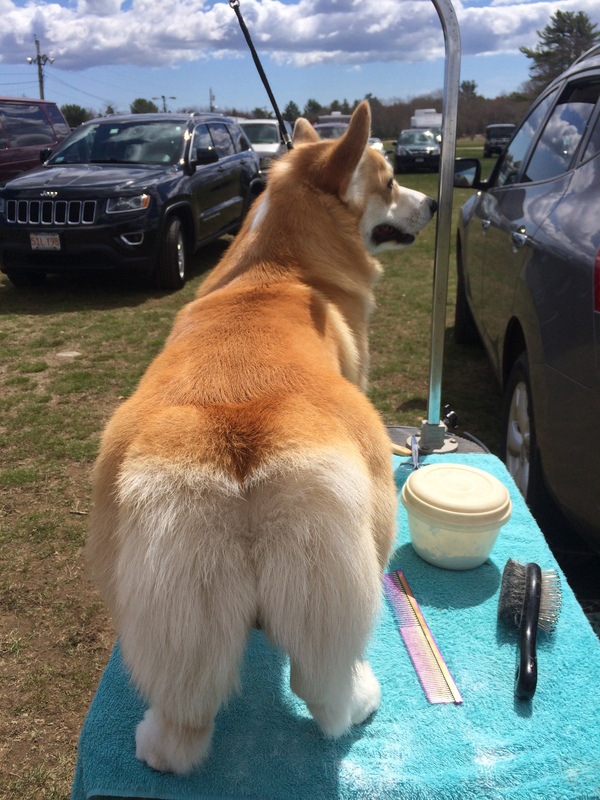 I have never been into breeding or showing dogs, but I do take in the occasional dog show if it’s nearby. Just for the canine eye candy. 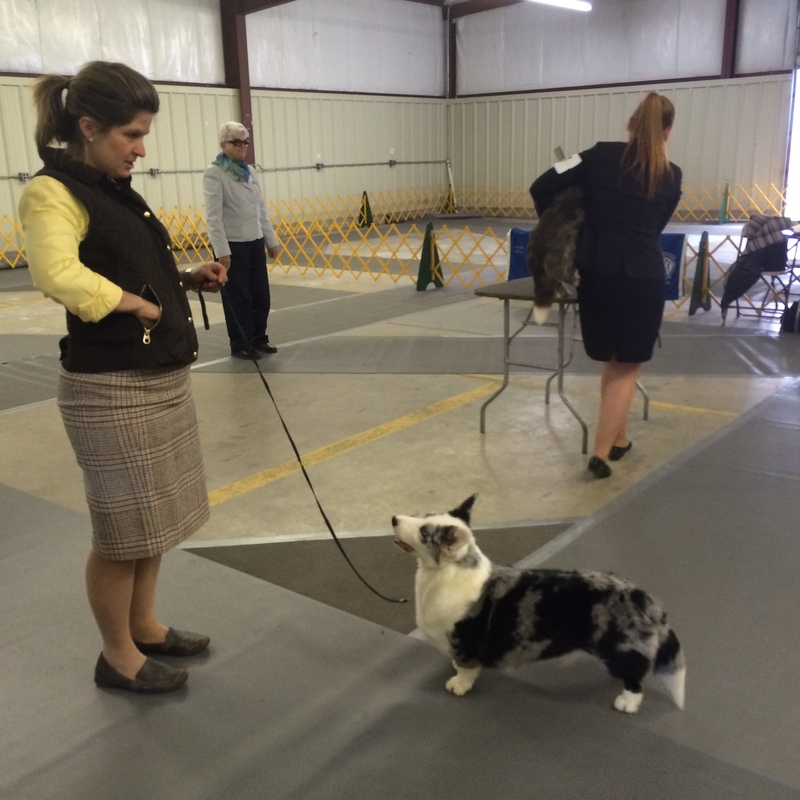 This weekend, I went to the South County Kennel Club’s American Kennel Club -sanctioned show in Richmond RI. 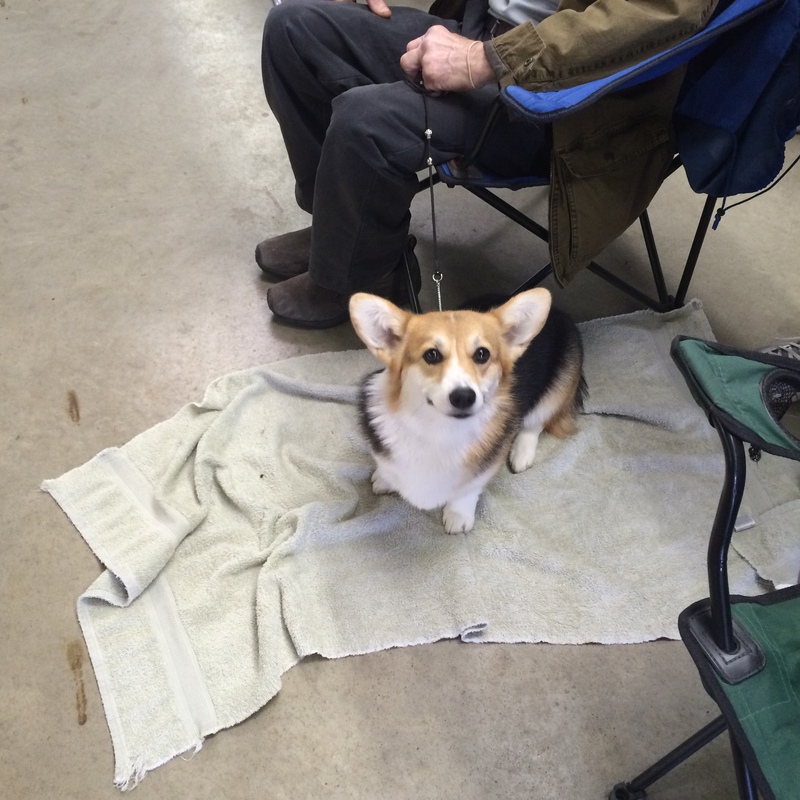 And yes, I was interested in the corgis, because I have one. 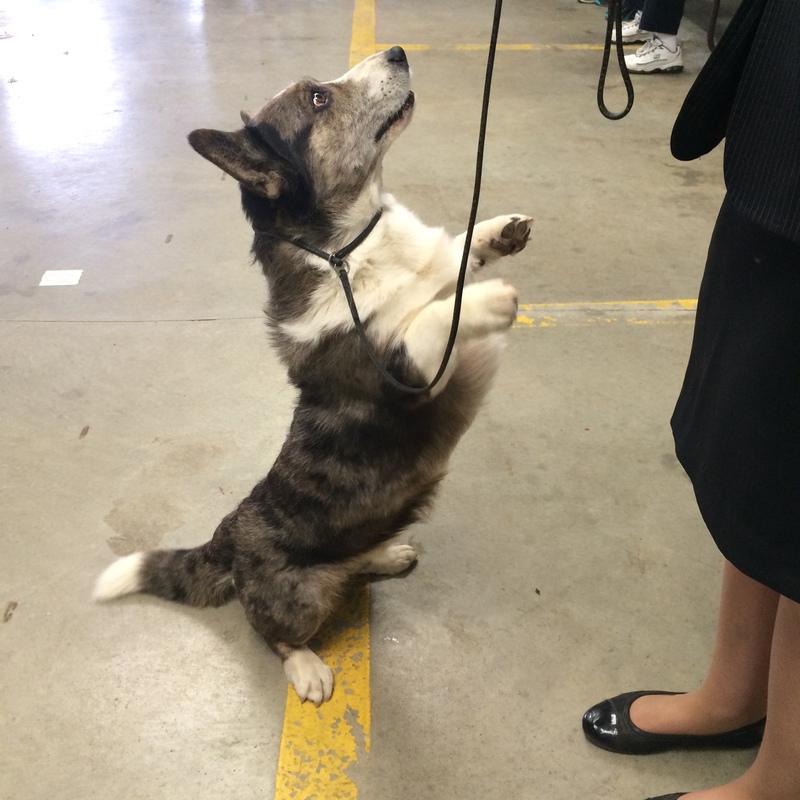 This isn’t a large show, but it is still serious for the breeders, whose dogs earn AKC points which add up to championships. 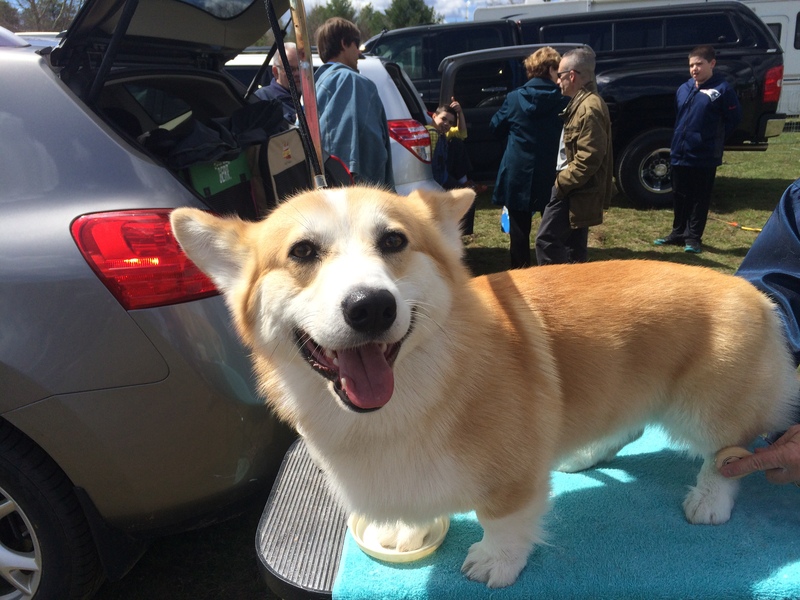 I strolled around, searching for corgi breeders until I found Diane of Sandwynn Corgis in NH. Feast your eyes on “Big Papi,” being made as perfect as possible before he entered the ring. Here’s a frontal view. Papi did well in the ring, coming away with several ribbons and lots of points. He is 1 1/2 years old, and really gets off on all the attention. Then we have little 10-month-old Jazzy, from the same kennel, who was entered as a puppy. What a sweetheart, with kisses for everyone. Here she is waiting to go into the ring. 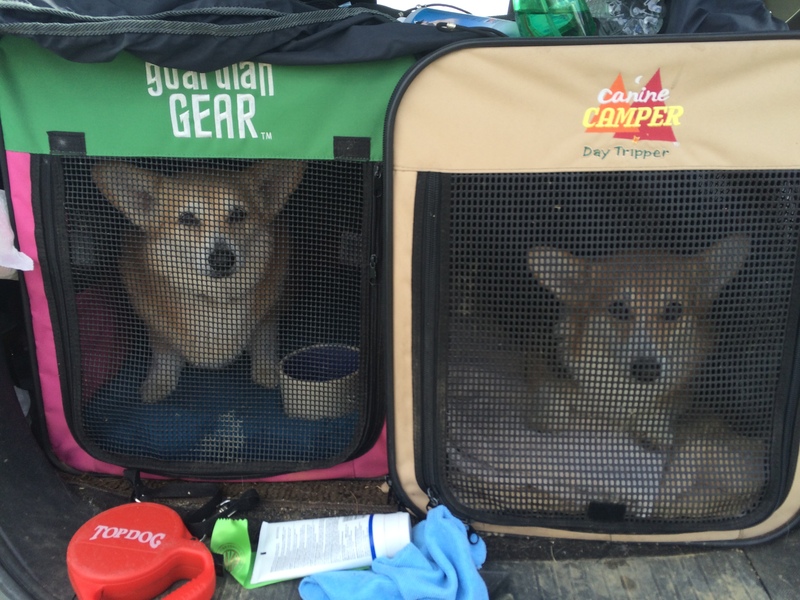 The Cardigan Welsh corgis went in first, and there were just a couple of them. For those of you who are unfamiliar with Cardigans, they are a completely different breed than Pembrokes. “Cardis,” as they are known, are descended from dachshunds, they have tails, and they are seen in different coats like brindle and blue merle. They’re bigger, too. “Buba” from MA liked to de-stress by sitting up. And this is the lovely “Lark” from VT doing her thing in the ring. Here are some of the Pembrokes and their handlers, waiting for the judge’s decision. Papi and Jazzy did well today, and their breeder went home happy. Here’s how they travel in the van. 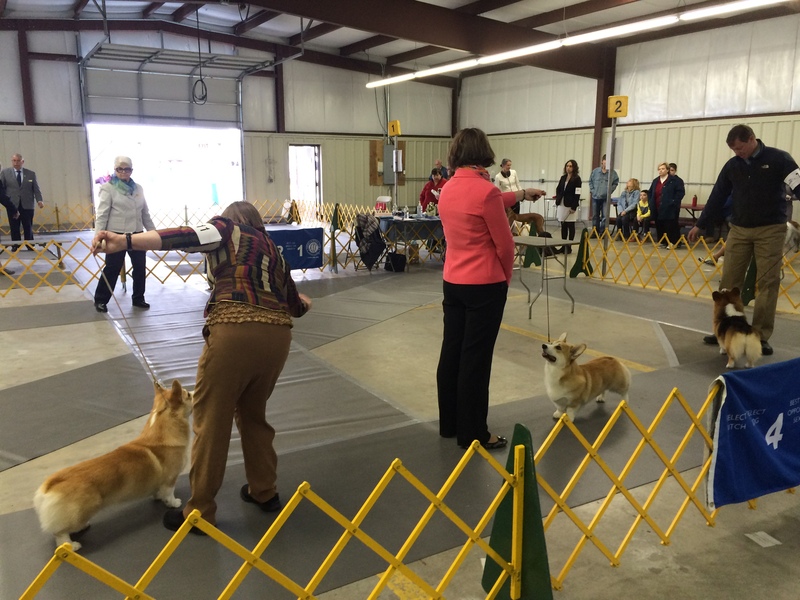 The dog on the left is 13-year-old Brigitte, who is retired from the show ring but still comes along, just to take it all in. Love that Jazzy! I think their eyes show the depth of their intelligence. and their ears show the depth of their outrageous cuteness!